Aung San Suu Kyi, Myanmar’s leader, denied there was ethnic cleansing of the Rohingya minority in the north of the country, despite UN reports stating evidence to the contrary. The Nobel Prize winner told the BBC’s Fergal Keane that there were issues in Rakhine State where the Muslim Rohingya live but said it did not go as far as ethnic cleansing. “I don’t think there is ethnic cleansing going on. I think ethnic cleansing is too strong an expression to use for what is happening. I think there is a lot of hostility there — it is Muslims killing Muslims as well, if they think they are co-operating with the authorities. “It is not just a matter of ethnic cleansing as you put it — it is a matter of people on different sides of the divide, and this divide we are trying to close up,” she said in the interview. Reports suggest that the Myanmar army has targeted Rohingya Muslims in a crackdown after nine policemen were killed in October. People from the Muslim minority tend to live in the Rakhine region and are denied Myanmar citizenship. A UN report released February alleged that security forces were acting with “devastating cruelty” towards the Rohingya, documenting allegations that babies were killed in front of their mothers, and houses were set alight with families inside. 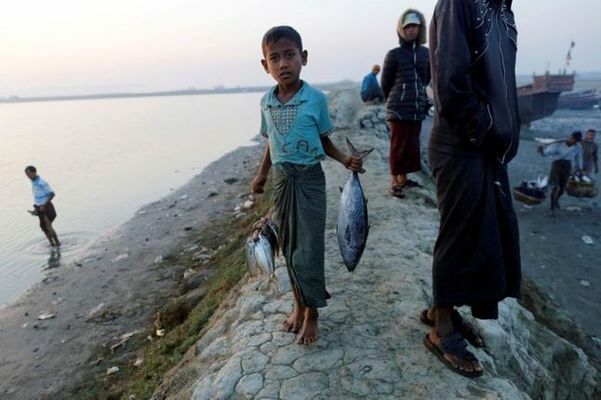 In November a senior UN official told the BBC that he believed Myanmar was carrying out ethnic cleansing of the minority in the north of the country. More than 70,000 Rohingya have fled Rakhine state to neighbouring Bangladesh, and are living in refugee camps.